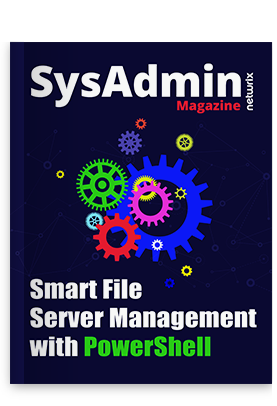 PowerShell is becoming increasingly more popular and is the first choice for Windows administrators to collect information from target systems. Every Windows role ships with its own PowerShell modules. Active Directory ships with more than 450 PowerShell cmdlets that you can use to collect information about every object in Active Directory, such as disabled computer accounts and disabled user accounts; interact with the ADSI engine to perform certain useful operations; check the health of domain controllers; collect GPO information; and more. In the first part of the article, we’ll explain how you can use simple PowerShell commands to find disabled user accounts, disabled computer accounts, and inactive user accounts from a single Active Directory domain. The second part of the article provides a handy PowerShell script that you can use to collect the same information from multiple Active Directory domains. Although Microsoft has not designed any PowerShell cmdlet specifically to collect disabled computer accounts, you can use the Get-ADComputer cmdlet. To collect disabled user accounts information, you can always use the Search-ADAccount PowerShell cmdlet, which is explained shortly below. As you can see in the command above, we are instructing the Get-ADComputer cmdlet to look for computer accounts that have the “Enabled” property set to $False, which indicates that the account is disabled. The above command uses the –TimeSpan parameter to find user accounts that have been inactive for the last 90 days. The output is exported to the C:\Temp\InActiveUsers.CSV file. A separate IT Team for each Active Directory domain. A single script that can collect information from all Active Directory domains. In other words, you need to design a script that can be executed only once to collect required information from all Active Directory domains. Ability to store disabled user accounts, disabled computer accounts, and inactive user accounts information in a separate CSV file for each domain. Once you have separate CSV files for each domain, you can distribute CSV files to the IT Team of each domain for them to take any actions. You must execute the script from a Windows Server 2012 or later Operating Systems. The current Active Directory forest name that is being used by the script is “NetWrix.Com.” You must change the Active Directory forest name in the $CurForestName variable and then execute the script. Make sure to install Active Directory PowerShell modules on the computer from which you will run the script. Make sure to create a directory with the name “C:\Temp” on the local computer. You must open the PowerShell window in an elevated mode. You must have permission to access all Active Directory domains. The above script collects all Active Directory domains from the Active Directory forest specified in the $CurForestName variable and then stores the domain names in the C:\Temp\DomList.CSV file. The “C:\Temp\DomList.CSV” file is used by the second “ForEach” loop in the script. The script collects disabled users, disabled computer accounts, and inactive user accounts from each domain by executing the Get-ADComputer and Search-ADAccount PowerShell commands. The report is generated in a CSV file for each domain. You can find all CSV reports under the C:\Temp folder on the computer from which you run the script. Once the CSV reports are generated, you can send output files to each IT Team via e-mail, or you can embed the “Send-MailMessage” cmdlet in the script so the script sends an e-mail with a CSV report to each IT Team. We will talk about the “Send-MailMessage” cmdlet in the upcoming part of this article series. If you are a busy person you should try some free tools to automate the task and safe your time. For instance, armed with Inactive User Tracker you will be able to quickly clean out or lock down all of your stale user accounts. Please share your thoughts and tools you use to detect stale accounts in the comments below. How do you find inactive/disabled accounts in Active Directory?